The park is on an island and is only accessible by boat. Burton Island will remain open through September 28 for the 2019 season. Limited ferry service will run from noon Friday - 11:30 am Monday. The Savage cabin is now pet-friendly. Go 3-1/2 mi. SW on Town Road, Lake Road and Point Road to Kamp Kill Kare State Park. Camping: This park has 14 tent sites, 26 lean-to's and 4 remote tent sites. There are also 3 cabins available to rent. Hiking: There are a number of mostly-flat trails around the island, including a self-guided nature trail. Swimming: There are plenty of great spots to take a swim in Lake Champlain throughout the island. Boating: Canoes and kayaks are available to rent. Picnicking: Lots of great picnicking options around the island. Stand-up Padding Boarding: SUP's are available to rent. Nature Programs: This park offers nature programs. Please call the park directly for more information. Volleyball: There is a volleyball net in the day use field. Burton Island is a 253-acre park off the southwestern tip of St. Albans Point in Lake Champlain’s 'Inland Sea'. The park is accessible only by boat, with the state’s passenger ferry making the 10-minute trip from Kamp Kill Kare State Park. 18th century maps refer to this as the “Isle of White.” Jesse Welden, an early St. Albans settler and agent for Ethan and Ira Allen, is attributed with clearing and farming the island. As recently as 1874, Lake Champlain navigation charts label it “Potter’s Island,” though C.C. Burton, a farmer on the mainland, was using the island for pasture by the 1840’s. Sidney Burton owned the island through the early 1900’s and leased it to tenant farmers who raised cows, pigs, sheep and chickens. Crops included beans and peas. Remnants of the island’s agricultural past such as fence lines and stone piles, rusted farm implements and the foundation of the old barn are still visible. Sidney Burton built a hunting and fishing camp on the eastern point in 1902. Ida Lashway inherited the island and continued leasing to tenant farmers, selling it to Randall Dimon in the 1950’s. The Dimon’s summered in the cottage for many years after selling the island to the State of Vermont in 1962. Burton Island State Park opened in 1964. Original plans to build a causeway were abandoned for the unique appeal of an island campground without cars. A marina was built to accommodate boats. Ferry service was implemented in the 1980’s. The marina is a lively stopover for people cruising the lake. The campground is popular with those who enjoy relaxing on a semi-remote island away from cars. Early logistical problems posed by the lack of a nearby mainland access to Burton Island led to the acquisition of Kamp Kill Kare, a former boy's camp at the tip of St. Albans Point, in 1967. Kamp Kill Kare State Park provides support facilities for Burton Island, including parking lots, a boat ramp and the ferry dock and breakwater. Kamp Kill Kare is a day use park with a swimming beach, picnic area and group shelter. Renovated in 1982, the 1870’s-era railroad resort hotel on the grounds now includes staff housing and public restrooms. The first floor lobby includes historic photos of both parks. The Island Runner is a passenger ferry that runs between Kamp Kill Kare State Park and Burton Island State Park. It carries people and bikes (no vehicles or boats) back and forth several times a day. If you don't have your own boat, this is the only way to get to Burton Island. 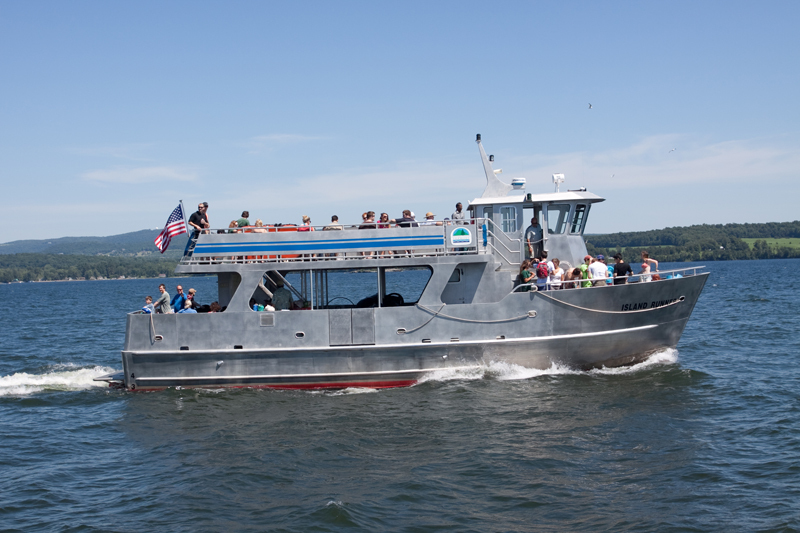 The ferry operates from 7 days a week from Memorial Day Weekend through Labor Day Weekend and Friday 12 noon - Monday 11:30 am in the month of September and is piloted by a licensed captain and friendly crew. The ferry ride between Kill Kare and Burton Island is about ten minutes. If you just want to spend a few hours on Burton Island, a ferry ride makes for a fun day excursion. If you are camping on Burton Island and you don't have your own boat, this is the only way to get you and your gear over to the island. 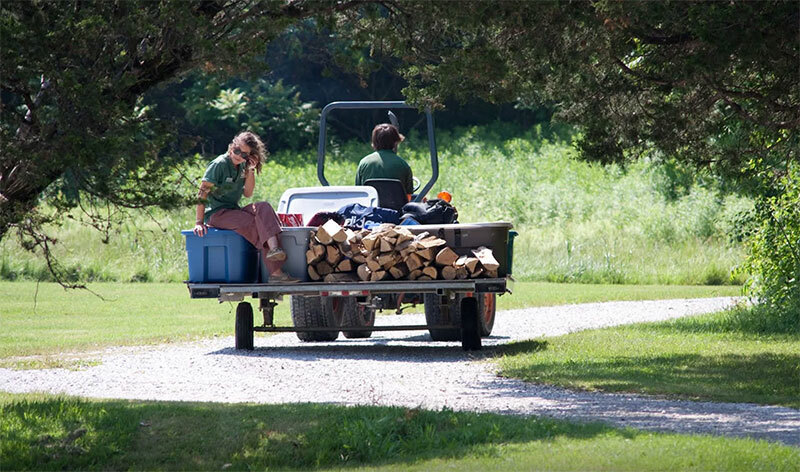 Once on Burton Island, you can either use the carts provided to get your gear to your site, or you can choose to pay for gear delivery. 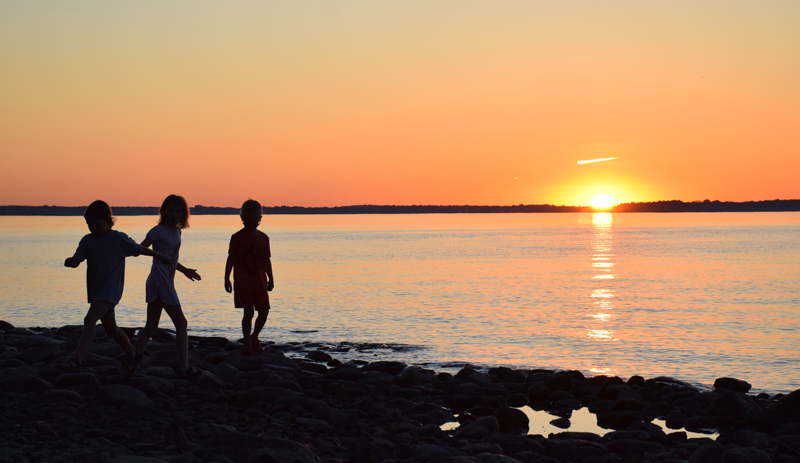 Unlike other parks, reservations for Burton Island campsites open up eleven months in advance on the 15th of the month or the first business day thereafter. We do this so that we can devote all our energies to serving Burton customers on these busy days. This park has a park interpreter offering fun, hands-on activities. Interpreters are park staff solely dedicated to helping you learn more about the natural and cultural history of the park. Some popular activities include night hikes, nature crafts and games, campfire programs and amphibian explorations. Check out the calendar of current events to see some of the programs planned during your visit.